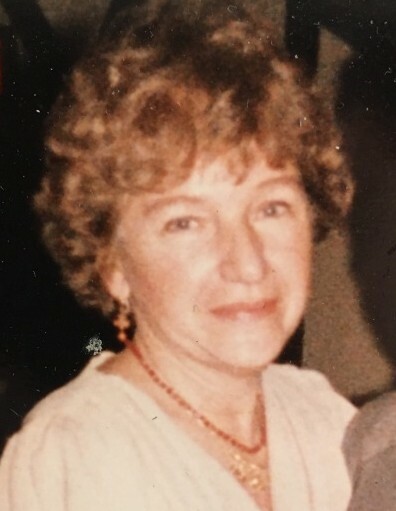 Vivian Papay (nee Frascello), age 87, passed away surrounded by her family on January 15, 2019. Born on July 11, 1931 in Manhattan, New York to Evelyn and Frank Frascello, Vivian was the eldest of five children. She married her husband Frank Papay in February 1953 in The Bronx and moved to New Milford, New Jersey with their daughter Vivian in 1959. Her son, David was born in 1965. Vivian was always a vibrant person and would often be found singing while cooking or baking. A very active soul, she loved to swim at the pool and at Shepherd's Lake and go for walks. Her other passions included genealogy, gardening, tai-chi, talking to her friends on the phone, dunking her pastries in her tea, and laughing. She was an active member of her church and found great joy in singing in the choir. However, her most fervent love was her family. She was their biggest advocate. Even as her dementia progressed, she always knew her family. Vivian will forever be remembered for her overwhelming kindness and generosity. Vivian is survived by her husband Frank, a son David Papay, a daughter and son-in-law Vivian and Thomas Davis, grandchildren Sean Papay and Vivian E Davis, a great-grandbunny Charlie; brothers and sisters and many nieces and nephews, all of whom she loved and touched deeply.